SkyCity has unveiled the first glimpse of its $300 million riverfront upgrade of Adelaide Casino. Adelaide's new casino development has been designed with the high-end international tourist in mind. 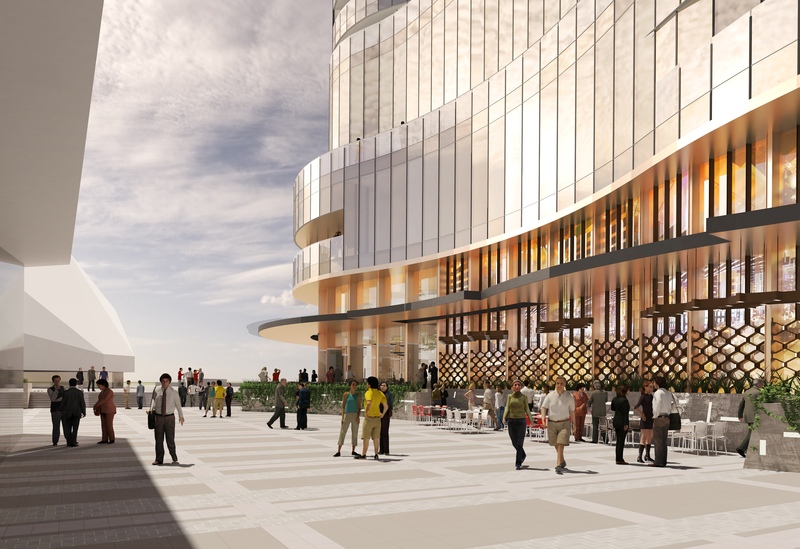 As designs for the Riverbank precinct’s latest major upgrade were released, SkyCity announced its search for a general manager for Adelaide Casino following the resignation of acting general manager Aaron Morrison. 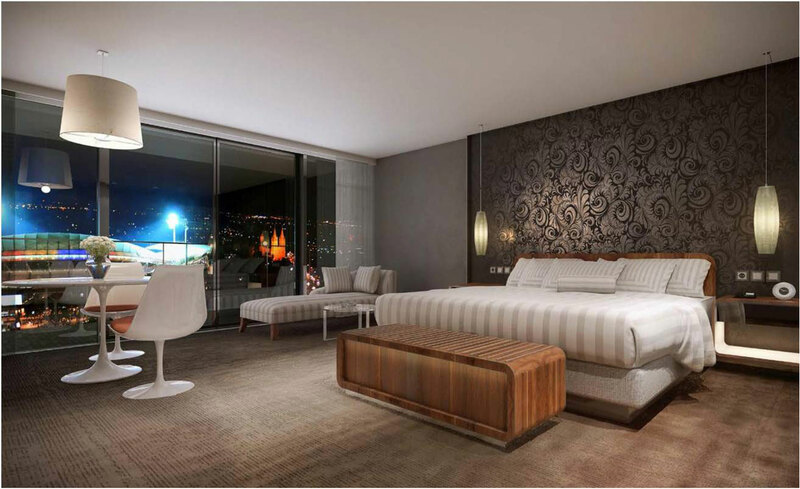 High-end spa facilities, premium gaming space – including suites for international VIP players – and an 80-room luxury hotel overlooking the Torrens River are part of the major casino and wider entertainment area renovation to boost the state’s international tourism appeal. Morrison said the design, lodged with the Development Assessment Commission, would be finessed over the next six months. “This development will help transform Station Road into a true entertainment precinct and SkyCity’s investment will create much-needed jobs and economic growth for South Australia and complement the redeveloped Adelaide Oval and the new and expanded Adelaide Convention Centre,” he said. Morrison said the final timeframe of works had not been finalised and was dependent on the completion of the site lease with the State Government and co-ordinating with government plans for broader development of the Riverbank Precinct. An example of one of the new luxury suites. SkyCity announced the redevelopment plans during its first four months financial update at its annual general meeting in Auckland today. Morrison said strong growth in Adelaide Casino’s international business, together with the success of other features such as well-patronised restaurants, had helped increase revenue by 24.4 per cent to $A70.3 over the previous corresponding period. Significant progress, he said, had been made in addressing cost structure of the Adelaide operations during the past few months. This, together with, strong economic growth, had delivered normalised earnings before interest, tax, depreciation and amortisation of $14.7m, a jump of 77.2 per cent for the same period last year. Morrison said while local gaming in Adelaide continued to be “soft”, strong economic results showed Adelaide’s international appeal was growing. An artist’s impression of the new casino exterior. He pointed out the lack of parking continued to test the business, but he hoped this would be overcome by the lease of 750 new car spaces from the Walker Corporation’s plaza rebuild. Nigel Morrison will lead the executive in running the complex during the recruitment process for a new general manager.